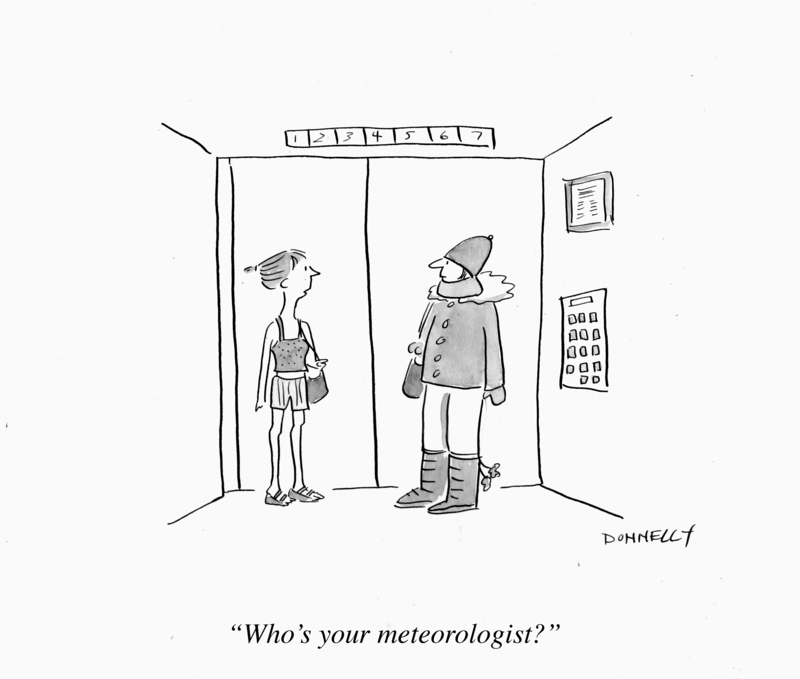 Who’s Your Meteorologist? 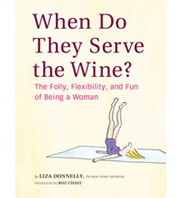 | When Do They Serve The Wine? I live in the Northeast. Weather has been on our minds a lot in the last few weeks. It is hard to get any of the sources for weather to commit to a clear forecast sometimes, and I find myself looking at three or four sources and piecing it together…to know what to wear, whether or not to go where I am supposed to go, is a hat necessary, what boots, etc. Weather.com, Acuweather.com, the local paper, The NYTimes, NBC, ABC, CBS, FOX, the Weather Channel often tell different stories, and I find myself trying to judge which source–if not all of them–are simply trying to get me to stay tuned. Everybody has an angle, even the meteorologists (to be fair, it’s their owners who are to blame). And to top it all off, you have to wait through all the snow-shovel-buying stories. I should just wait and see. This entry was posted in Random but Relevant and tagged National Weather Service, NBC, New York City, snow, Television, weather, Weather Channel. Bookmark the permalink. 4 Responses to Who’s Your Meteorologist? This reminds me that there’s a group of people here who try to ski and surf on the same day LOL. Great cartoon.